A new roadmap and $45 million in funding could help make it happen. California pioneered state policies for deploying solar and energy storage. Now it’s turning its attention to microgrids. The state’s energy agencies released a draft microgrid roadmap September 29, drawing from a more than year-long process spanning five workshops with stakeholder input from industry, utilities and academia. The goal: to identify challenges and opportunities presented by microgrids. Microgrids have been hard to commercialize because each case is unique, and there are complexities to resolve regarding the local asset's relation to the broader grid. 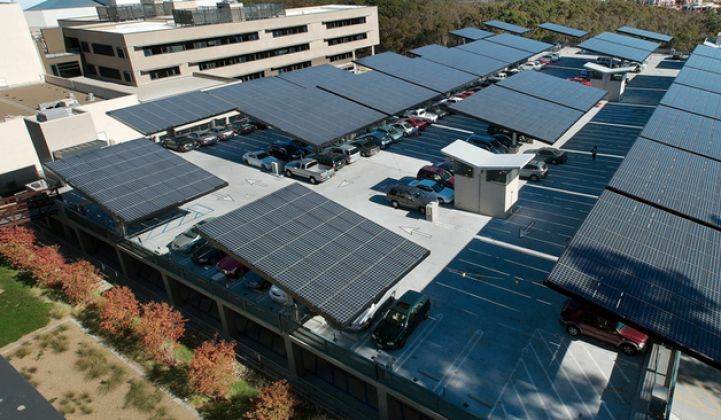 Early adopters have been the military and university campuses, but California officials are determined to build a robust microgrid market and see microgrids as a tool to help the state achieve its ambitious clean energy and climate targets. “We’re looking at: How do microgrids help us meet the state policy goals of the future?” said Mike Gravely, team leader for energy systems integration at the California Energy Commission. On a parallel track, the CEC announced a grant funding opportunity on August 4 for projects that demonstrate the business case for advanced microgrids and support the state’s clean energy and greenhouse gas emissions policies. Applications are due on October 31. Shopping for microgrids will come to resemble the process of picking out a car, Gravely said. When consumers are ready for a new car, he observed, they settle on what they need the car to do and then shop for the vehicle -- minivan, family sedan, SUV, pickup truck -- that meets those requirements. "We’re going to see if there’s a way we can define these microgrids down to a finite number of configurations,” said Gravely. “With a microgrid, we can say: ‘This is a microgrid to lower costs. This is a microgrid for high penetration of renewables. This is a microgrid to support high concentrations of [distributed energy resources]. 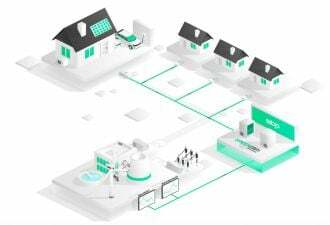 This is a microgrid for residential. This is a microgrid for industrial.’"
The vision of preset microgrid designs is still a ways off. Currently, each microgrid project is custom-fitted to the needs of the customer. That factors into the costs of design, procurement and installation. The microgrid value proposition boils down to whether a customer is better off integrating various energy assets into one control system. In some situations, standalone PV generation and storage could work just fine. But if the conditions are right, uniting them into a microgrid could lower the ultimate cost of operation and unlock new abilities like higher reliability. "We believe the answer is yes: When you integrate them together, you’ll get a more valuable package for a lower cost,” Gravely said. The California Energy Commission expects that projects from the grant funding opportunity will hasten the commercialization of microgrids as well as provide answers to open policy questions. State officials also intend for the projects to clarify the business case for and benefit metrics of microgrids. The CEC will award a total of $44.7 million to as many as a dozen projects. The commission has already seen “huge interest” in the solicitation and anticipates receiving 50 to 60 proposals, according to Gravely. Winners should be announced by January 2018, with contracts awarded that spring. Perhaps the most important items on the to-do list for California officials as they write the final microgrid roadmap this fall is agreeing on the list of action items and determining which agency takes the lead to implement each action. The action items will reflect feedback from respondents to the state’s microgrid roadmap survey. Respondents’ priority action items include: clarifying how microgrids can participate in markets and provide multiple revenue streams; reducing cost barriers for microgrids performing grid services; reducing cost barriers for microgrid interconnection; and finding ways for microgrids to participate in wholesale and retail markets. California officials plan to release the final microgrid roadmap by the end of 2017. “It’s ultimately a document to help the state implement microgrids. But it’s also a document to help people who are in the microgrid business sell their product,” Gravely said.